Many Millennials like Daniel are wondering why they're struggling to save money while their Baby Boomer parents managed to get ahead. Daniel's not wrong: Times have changed. "Millennials are hit with a tough combination of obstacles their parents didn't face," says Daniel Mahoney, president of True Square Financial in Atlanta. Rising cost of education is a big part of the challenge. Tuition has tripled over the past four decades, and Millennials are carrying more student debt than their parents. In 2016, seven out of 10 graduates had loans to pay and left college with an average $37,172 in debt. Stagnant wages are also impacting Millennials. Hourly wages have grown only 9% over the past three decades. At the same time, home prices are rising faster than wages. More Americans are renting homes than at any point over the last 50 years. Real estate was a key factor in previous generations' wealth and savings. Many boomers also received pensions from their employers, securing their retirement. Today, just 14% of private sector workers receive pensions, compared to more than 30% three decades ago. People younger than 35 are the only age group with a negative savings rate, which means they're spending more than they're saving. But these challenges don't mean Millennials should feel hopeless. Despite playing with a hand tied behind their backs, young people can still get ahead financially. Knowing how much is coming in and how much is going out is essential, experts say. "It's the foundation for everything when it comes to managing your personal finances," says Douglas Boneparth, president of Bone Fide Wealth and co-author of The Millennial Money Fix. Shashin Shah, financial planer at SFMG Wealth Advisors, advises clients to take account of all their spending and imagine they made 10% less -- then start working to save that 10%. Related: A variety of tools can help you budget. Analyzing your budget can help you cut back on extraneous expenses. 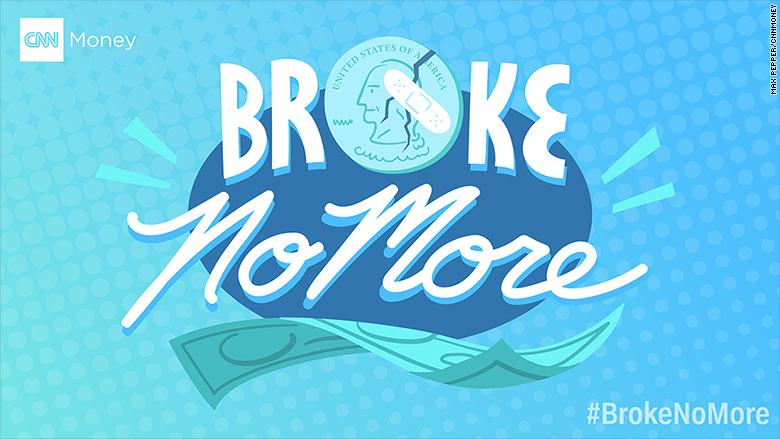 Apps like Mint and Quicken help to analyze your budgeting and let you know if you're spending beyond your means. You can also test out Excel spreadsheets, which Boneparth recommends because they help keep you involved with your finances. Make sure to keep up with your student loan payments so you don't get swamped with more debt. Consider enrolling in an income repayment plan that automatically deducts funds from your paycheck. You can also try to lower your monthly loan payments by consolidating and scoring lower interest rates. Several federal employers, states and non-profits offer grant options that will help forgive your debt if you work in a particular location, in public service or a high-demand field like engineering or health care. Look for companies that will help pay off some of your loans. Only 4% of companies currently offer this benefit, according to a 2016 survey, but human resource professionals expect an increasing number of companies will offer this perk in the future as a way to recruit and retain Millennials. When you get your paycheck each month, first set aside a portion of it to your savings account or a retirement fund. It's a simple concept, but experts say it goes a long way for any type of savings burden. "By paying yourself first, you're prioritizing savings and more importantly, building the right habits to build wealth in the long-term," says Roger Ma, a certified financial planner in New York. Keeping an emergency savings fund is also a good way to build up your cash flow. Start by building three months of your living expenses in cash, Mahoney recommends. That way you won't get yourself into trouble by turning to credit cards or high-interest loans if emergency strikes. 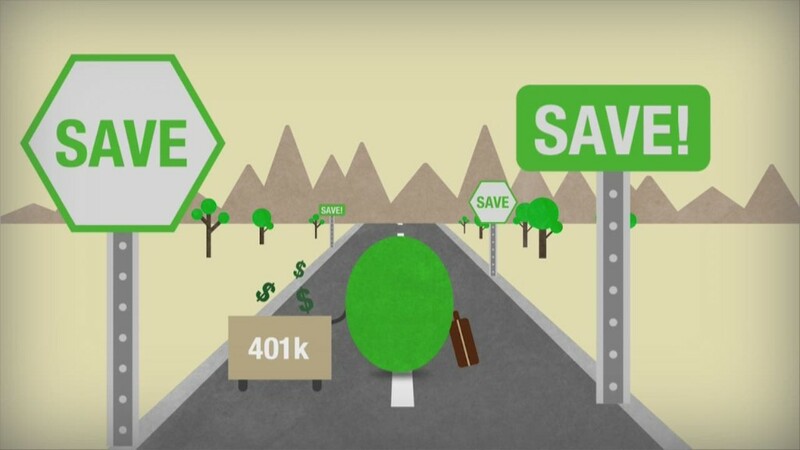 Money you put in a 401(k) grows tax-deferred when you contribute, so make sure to capture all of your employer match. It's "free money," Ma says, and will pay off in the long run. A Roth IRA is also a good option for Millennials who are able to save, according to Mahoney. Although it doesn't provide a tax break today, the money you save and invest in a Roth can grow tax-free and you can take it out tax-free when you retire. Once your Roth IRA account has been open for five years, Mahoney explains, you can withdraw contributions without paying the penalty you would with a 401(k). There are some things that can actually make saving easier these days than it was in the past. Financial planners say technology can help Millennials in ways unimaginable to their parents. And the shift away from pensions brings opportunity, Ma says. Millennials may not feel as tied down to their jobs as previous generations who had to stick around for years to be eligible for a pension. "This allows Millennials to job hop more frequently and find a job they truly enjoy."